Funerals and other special memory events in your life deserve the best so you can cherish the memory for years to come. Online Funeral Templates sells a variety of templates including letter and legal single fold programs, announcements, large tabloid booklets, prayer cards, funeral cards, thank you post cards and all in many styles or themes. When choosing your layout and products, consider what kind of information you will be including in your program and how much. Don’t see a design or product you like, contact us for more options! Our single-fold layout is an 8 1/2" x 11" sized paper which folds in half, to give you 4 panels of information. This bi-fold template is the easiest and most straight-forward layout. It is also the most commonly used layout. With this layout you have the option to add additional pages to your program to include more photos or any other information you like. Our single -fold layout is an 8 1/2" x 14" (legal-sized) paper which folds in half, to give you 4 panels of information. Similar to our letter single fold (bi-fold) but with 3” of additional space, which allows for a wider program. This is the International single-fold layout is an 11.692 x 8.267 (A4-sized) paper which folds in half, to give you 4 panels of information. Similar to our letter and legal bi-folds but for countries like the UK and Australia who use A4 standard paper size paper. This Large Tabloid Booklet 11 x 17” is another option to our programs for providing the maximum amount of space to commemorate loved ones who need lots of text and images to celebrate their life or accomplishment. These are also great for clients intending on honoring or commemorating multiple individuals at the same time for graduations, family reunions, non-profit awards or other social events. These can be a wonderful addition to your funeral service. They can be included with a thank you card after a service. Prayer cards can include a special prayer, poem, song, or scripture that your loved one enjoyed. Many find it better when they laminate them for a more polished and longer lasting effect. After a funeral, graduation, or wedding service, the idea of sending thank you cards can be overwhelming. Writing thank you notes can be a very time consuming task. You can save time by using our printable thank you cards. This is your best option for maximizing space for those who have lots of text and images to include. Also great for clients who have multiple people to honor in one booklet for a funeral, graduation, family reunion, or birthday. This post card type design can be used as an invitations or announcements to be mailed out when announcing a funeral, graduation, or other memorable occasion. 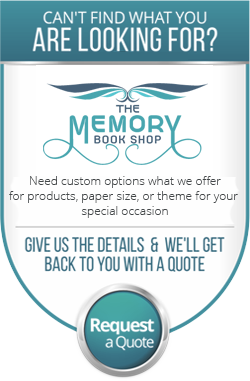 Memorial bookmarks are a great way to honor your loved one. They have multi purposes; can be used as a bookmark, car mirror hanging decoration, and will be great if laminated for a glossy effect. These can make great tokens for your family and can be given out to friends who attend the occasion. Create a Memorial Website that celebrates the legacy of a life. This can be useful in spreading the word of the loss of a loved one, for a college graduation, or for starting a scholarship for a loved one. It can be a 1-page memorial or you can customize it to as many pages as you need. A gatefold program is very different from the standard tri-fold booklets. This elegant program is great for those who want to present their loved one in a unique fashion. This layout consists of 1 sheet (8 1/2" x 11" ) which fold to give 4 booklet pages of information, and folds to reveal an elegant colored panel. The elegant fold design gives a contemporary and polished look to your programs. This layout consists of 2 sheets (8 1/2" x 11" ) which fold to give 8 booklet pages of information, and folds to reveal 3 elegant colored panels. This layout is similar to the 2 page graduated fold program, except there are 4 folded pages available to insert information. The elegant fold design gives a contemporary and polished look to your programs.